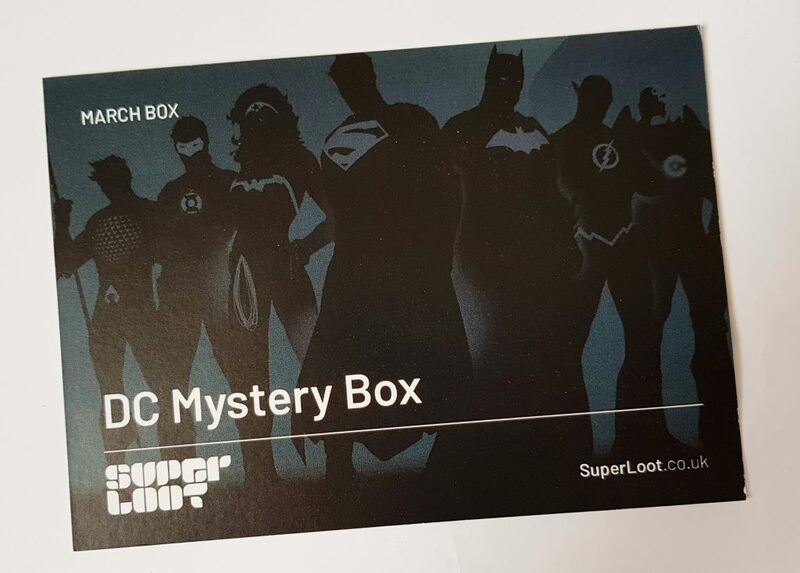 Super Loot is a themed box of collectibles with a different geek/gamer theme each month. 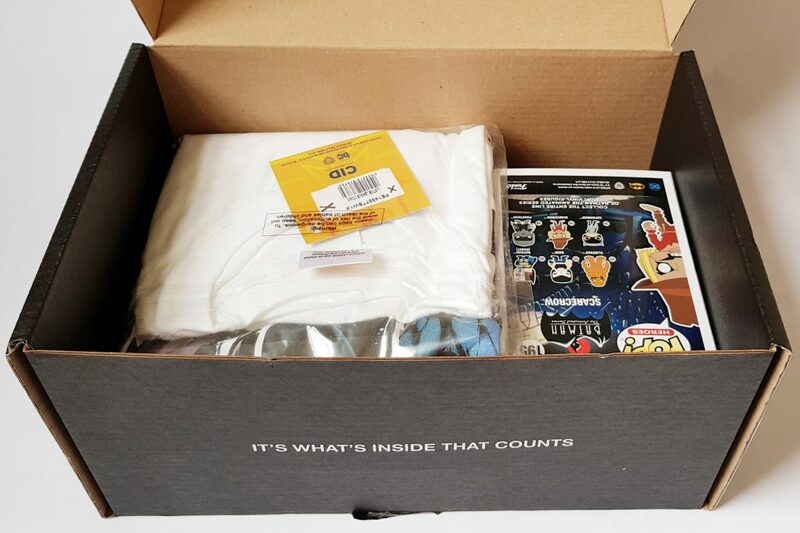 You get a t-shirt in every box, plus other collectibles. It costs £24.99 a month, though they have deals on the first month of a subscription. 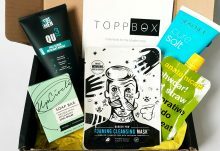 This box is entirely new to me, so I’m eager to see what they’ve come up with! The box is pretty big, definitely one to collect if you’re not in when the postman arrives. 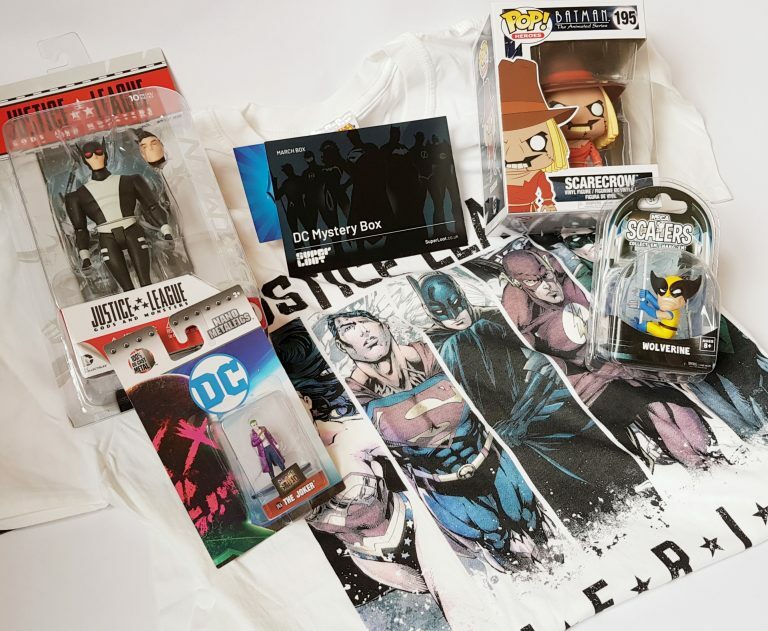 There’s the t-shirt on top, and I think I can see a POP figure as well. This month’s theme is the DC universe. There’s a little menu card which lists the items in the box. There aren’t any RRPs, but values should be fairly easy to find. Here is the t-shirt. 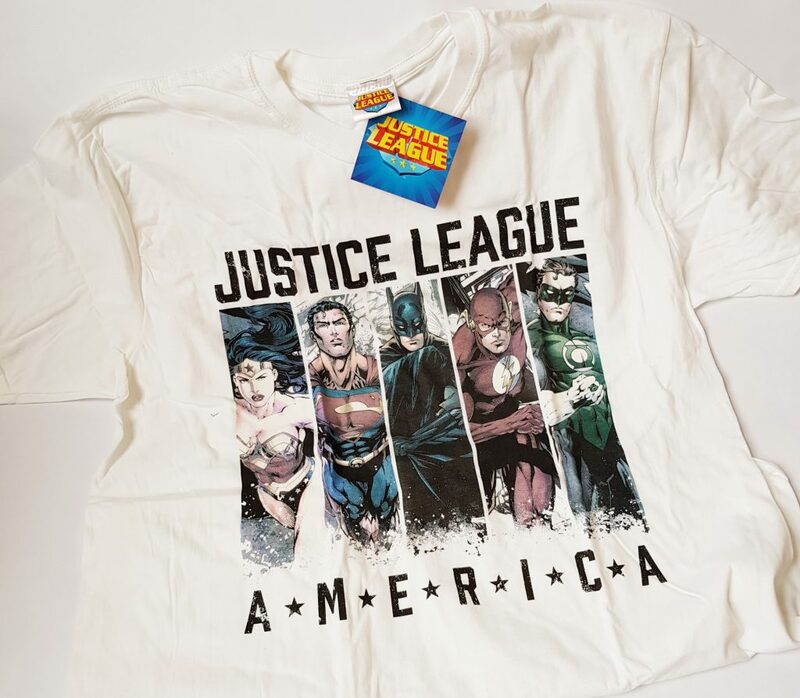 It’s an officially licensed design, and the Justice League members are drawn in the traditional comic book art style. Also it’s 100% cotton, which is really good to see! POP! 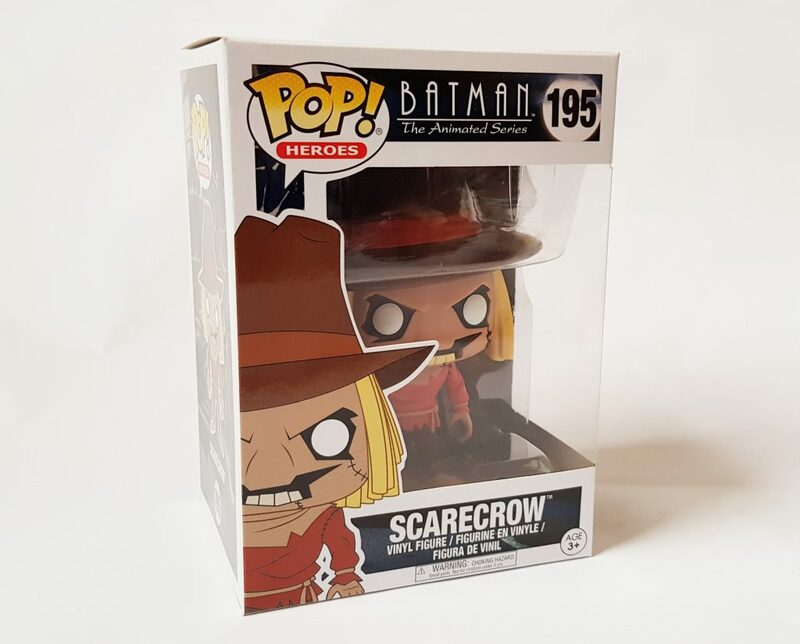 figures are incredibly popular, and this is Scarecrow from the DC Animated Batman series. The detailing on this is really excellent. POPs usually look kind of cute, even the bad guys, but this one is really rather creepy! It’s a great addition to a POP collection. 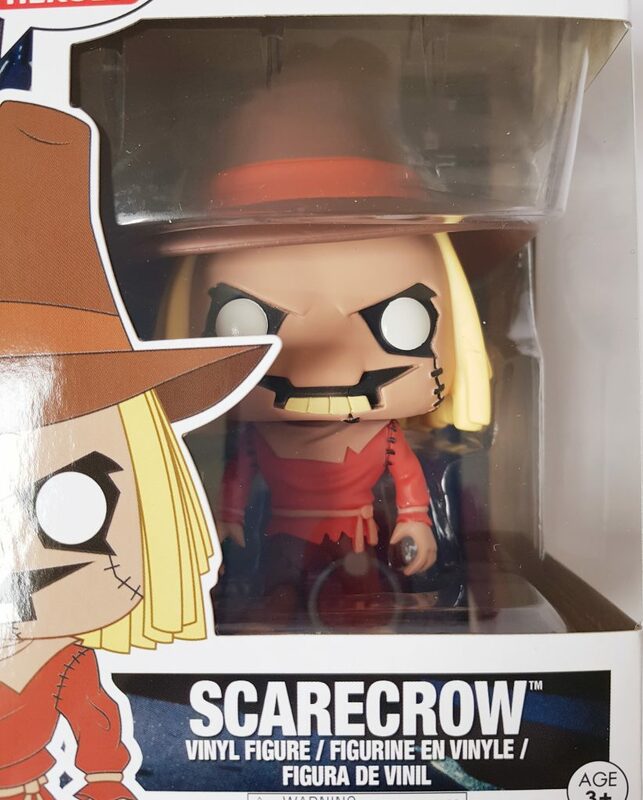 POPs can vary in price, but this one is on Amazon right now for £7.99. 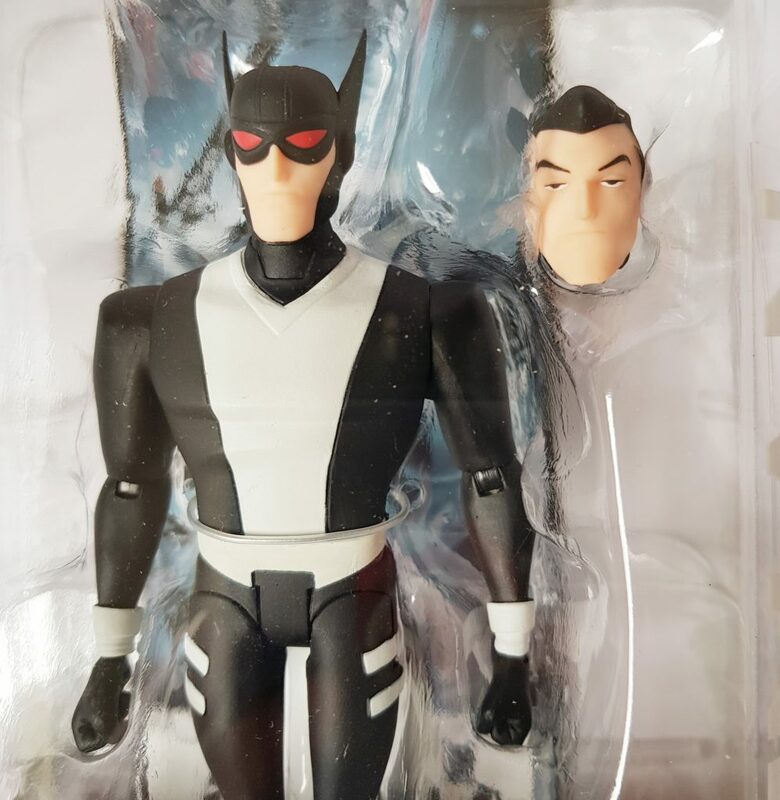 This is a Justice League Gods & Monsters Batman DC Collectible Figure. It’s one of three figures in this series. 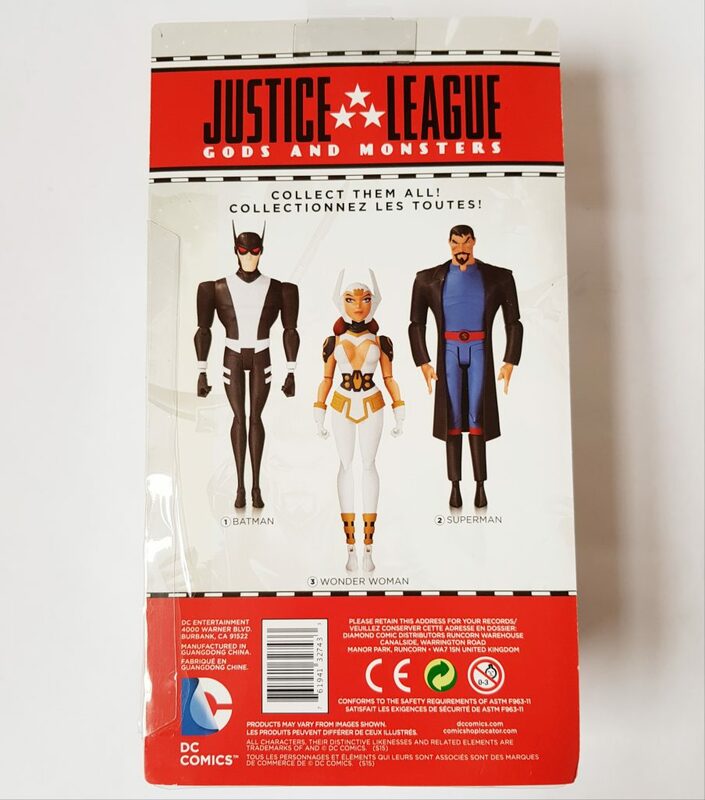 The design is based on the animated series Justice League: Gods & Monsters, with the figures based on the slightly retro-look of the animated characters. This particular model has articulated legs and arms, plus a Bruce Wayne head and and extra pair of hands to swap out. There’s also a display stand included. 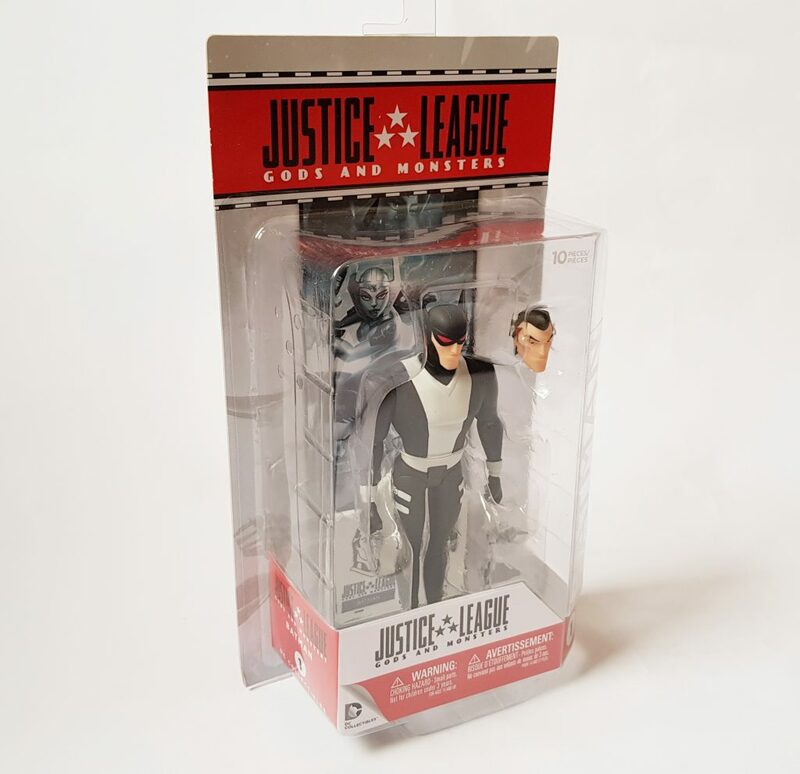 It’s a little difficult to find a price for this, but I did see it on a US site for $24.99 (a little over £18 right now). It’s a pretty nice figure, especially with the display stand, and it’s nice to see a slightly different style to usual. 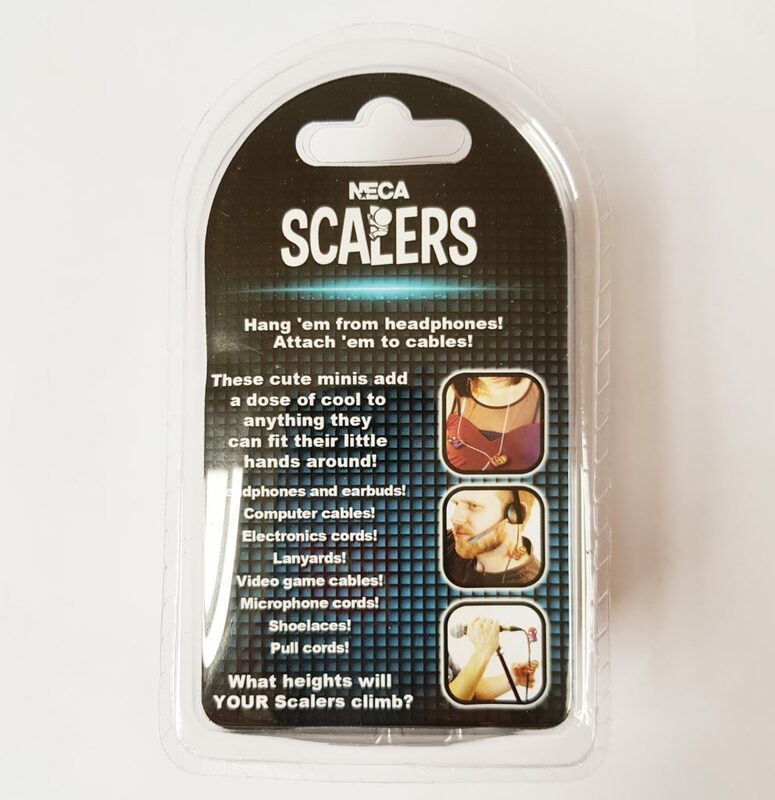 Scalers are tiny figures that can hang on a wire or cord, such as a phone cable. My little guy is Wolverine in his traditional yellow outfit, though there are bunch of possible options with this. They don’t seem to be available in the UK, but I found this one on the US Amazon for around $5. 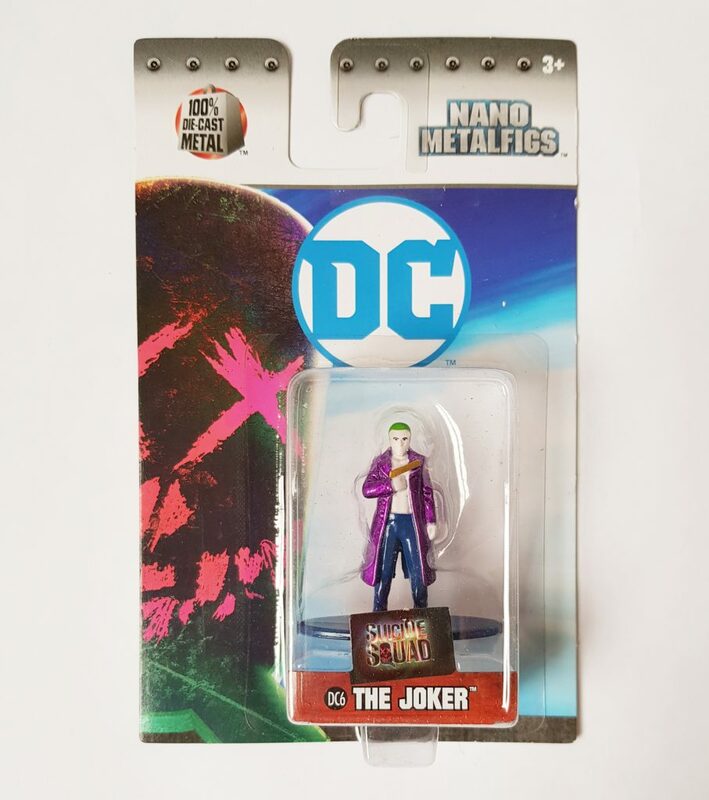 Finally, a DC Nano Figure. These are mini die-cast figures on a little stand. Mine is The Joker from Suicide Squad. They’re very small, less than 2″ high, so the detailing isn’t that great, but the colours are bright and it’s a fun figure. I can’t find this exact figure, but the Harley Quinn from the same series is on Amazon for £7.90. These is definitely a box aimed at the collector. 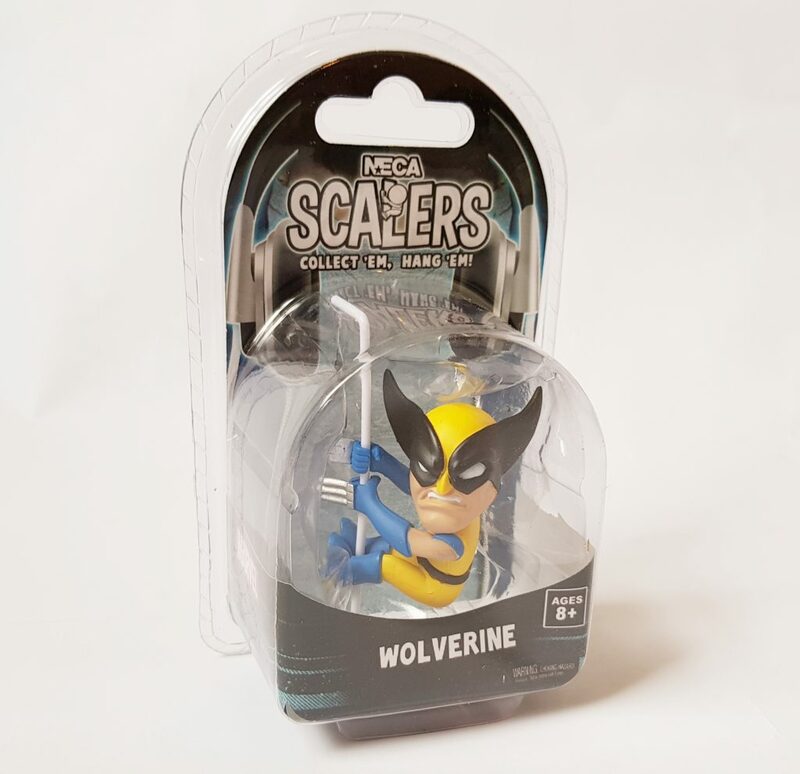 The hanging Scaler figure could hitch a ride on your headphones or charger, but otherwise the figures are definitely for display. 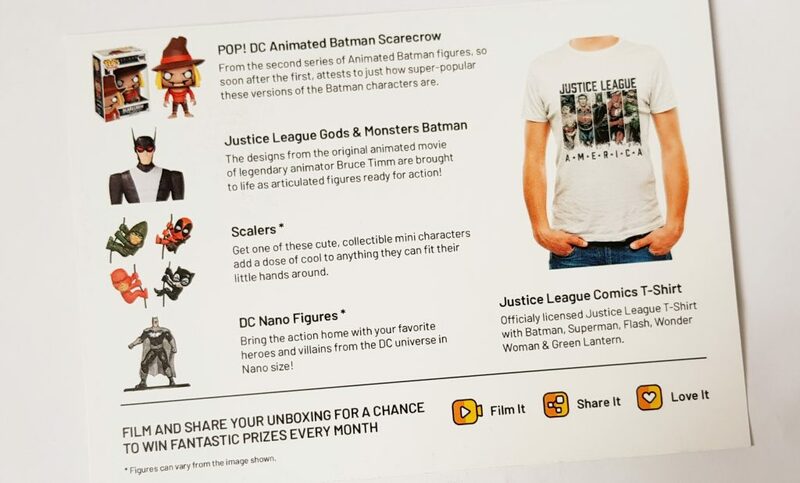 I like the mix of designs, so you have the POP look, the animated series in the Gods & Monsters figure, and the classic vintage comic look of the t-shirt. You also get good value for money. All the items are officially licensed and sometimes harder to find in the UK, which adds a little rarity value for UK collectors. 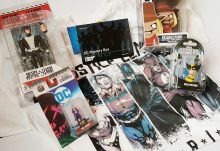 The themed box is also refreshing, as everything in the box is relevant to a particular universe, which is a nice change from the sometimes random mix of things in geek boxes. Also extra credit for a really nice t-shirt, good quality and 100% cotton. 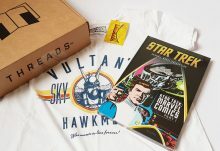 For fans of geek shirts and collectibles, this is a perfect box! 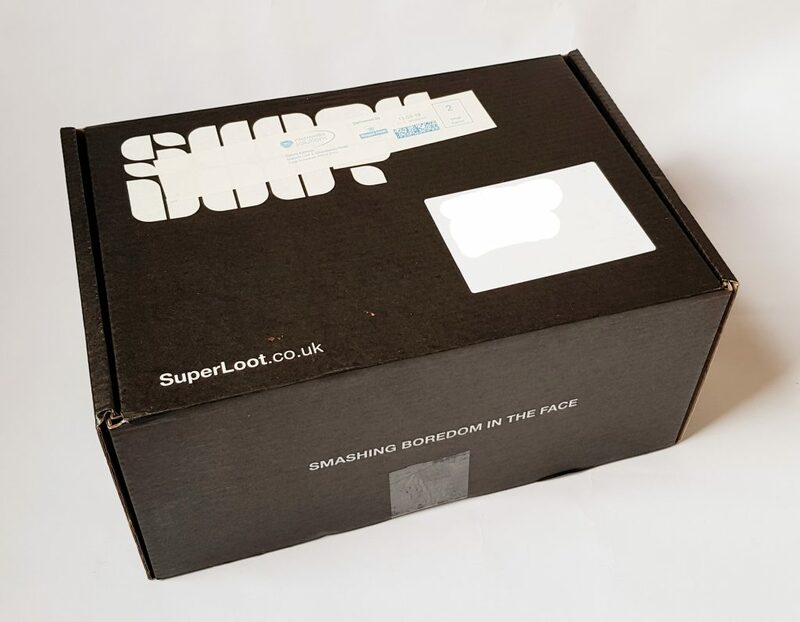 How would you rate Super Loot ?